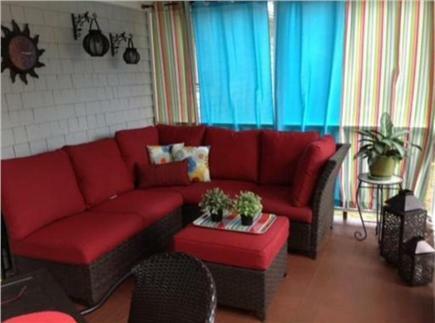 This three bedroom two bath vacation home is located on a deep sea peninsula in the Seacoast Shores community. If water sports are what you are interested in, kayaks or canoes can be launched steps from the house. If bigger boats are your interest, the free public boat launch at Whites Landing is only one mile away. For a more relaxing day, Bayside Association Beach is steps from the house. 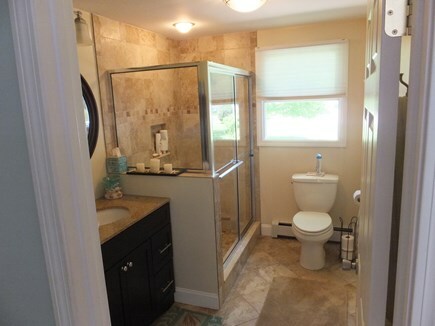 After your day on the water, shower off in the outdoor shower and enjoy lunch on the screened in porch or deck. Venturing out to enjoy what Falmouth and the surrounding area has to offer. 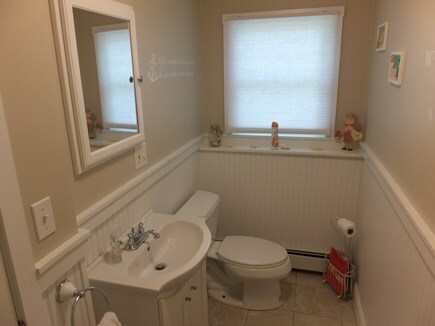 This home is five miles away from three additional local beaches (Menauhant, Bristol and Falmouth Heights). 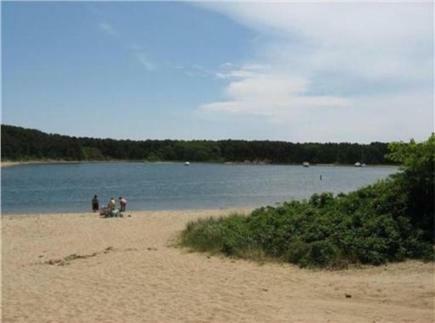 Fine or casual dining or shopping in downtown Falmouth or Mashpee Commons is a short drive from the house. Multiple golf courses, including Falmouth CC (3 miles from house) are available to play. For biking, rollerblading or walking, the Shining Sea bike path takes you along Vineyard Sound with pristine views of Martha’s Vineyard. Take the Island Queen (10 minutes from house), the Martha’s Vineyard ferry for a great day on the Island. Please email or call with any additional questions about the property or amenities. Wonderful, spacious beach house. Loved the house decor. Close to a private beach! Cozy back porch with area to eat outside. Within driving range of all towns. 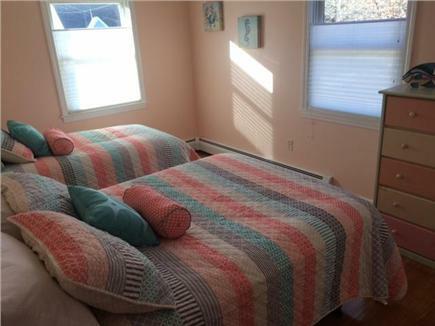 If we ever return to Cape Cod, we would definitely rent again! Thanks for the great review. I appreciate it! Spent 3 weeks at this home. 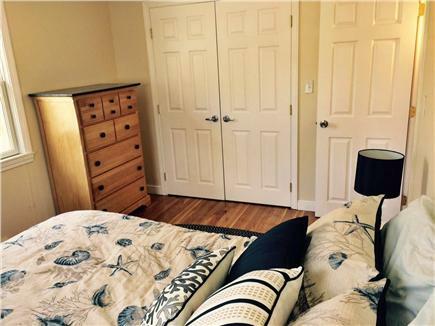 Great location, short walk to private beach. House was immaculate. 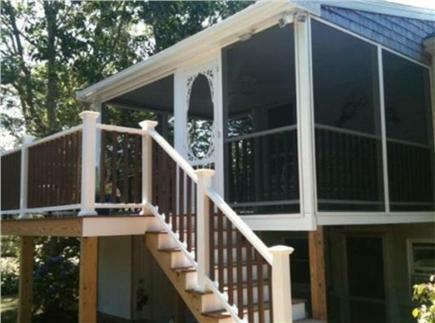 Well furnished, delightful screened porch, and a nice back yard for gatherings and children's play. Owner was very nice to deal with. We recommend for a family, and for a couple, as well. Thank you for the wonderful review of our beach house. Also, thank you for the comments to the homeowner. I appreciate both! Enjoy the remaining weeks of the Summer. Thanks for opening up your home. We had a great time and enjoyed the area, great location with the beach access as well as dropping in the kayaks. 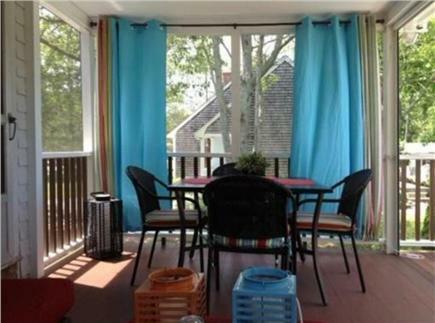 Also, Sun porch was a bonus! I gave your rental 5 stars and praised it as a lovely rental. We really enjoyed the house and would recommend it highly.